First off… You may not like bacon, but that doesn’t, necessarily, make you a bad person. Know that most people around you love bacon. My anecdotal research consists of a few years now, when asked to bring a dish, I literally just bring bacon. Just… bacon. And within an hour, my dish is always empty. 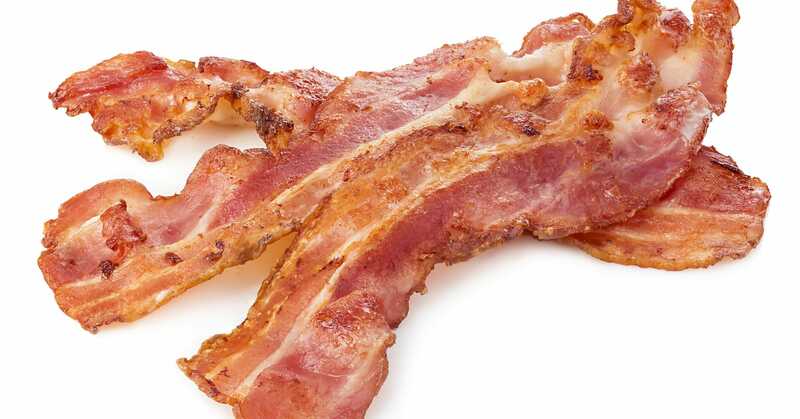 People say “oh…is that bacon? !” If I bring bacon to the brewery, I’m an instant hero and just made 4 new friends. So what can you learn from bacon? Salty glorious bacon? It’s an attractor. Your marketing bacon are those things that you either are or do that attracts clients and employees, earns you the respect of your peers and the envy of your competition. Your marketing bacon is crumbled and sprinkled among all that you do, making everything it touches, a little better. It wraps around your messaging, communication and even your workspace. It is the one most delicious part of your entire organization. So what does marketing bacon look like in practice? The core reason for being and your right to exist on this commercial earth. Your purpose brings like-minded humans, it is wholesome and valuable. A strong purpose is something that unites your team and clarifies what you stand for. When prospects research you, having a company wrapped in a strong purpose helps attract those people who will make you stronger and better. A little different than Purpose, your beliefs form the foundational mores within your culture. Your beliefs transfer through storytelling and lore among the team. They last for generations, employee wise, and help to keep everyone focused on the common goal. At some point during your branding, you had to write down the five characteristics of your brand. You made some words… if they are GOOD words, they really resonate with you and most people in the organization by them. People who love that way of life will be attracted to your character. This is a wildly underrated part of the cultural celebration in corporate America. How you celebrate and commiserate sets the tone for the culture. As time goes by, things “we do” become important… They offer consistency through moments of change and a solid foundation to start from as you move clients and team members up the engagement ladder. Therefore, much like bacon, all these things are attractors to you and your organization. And, also like bacon, you should share them! Speak about your purpose, your beliefs, and your traditions. Offer guidance to those around you. Open up that Rubbermaid filled with spectacular bacon, and invite other people to share in it, enjoy it and celebrate with you. But, like bacon… be honest and true to yourself. Don’t pose. Bacon never poses. You’ll be amazed by the enthusiasm people bring to your marketing bacon. They’ll love it. They’ll ask for more and, maybe, they’ll bring bacon next time and the world will be a better place. Eric Berrios has been the strategic planner at Realm for 10 years and recently took on the role as head of client services, focused on the overall client experience. Upon joining Realm, Berrios took over Strategic Planning for business-to-business clients like Novelis, SunTrust, the Georgia Ports Authority and others. Over the past decade, he has been deeply immersed in the cargo and logistics market as the lead strategist for the Georgia Ports account, as well as consulting on marketing initiatives for UPS. Berrios has served on the board of the Atlanta chapter of the International Association of Business Communicators for eight years and has been a past board member of EarthShare of Georgia. A graduate of NYIT, he holds a Bachelor of Science degree in Advertising.